Watch a video guide to climate change. NASA's Climate Kids Website answers questions about climate change. Investigate climate change with online activities and things to try at home, and ask a scientist a question about the environment. The WWF's list of humankind's five worst environmental problems. 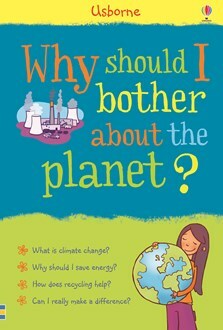 Tiki the Penguin's guides to planet problems - and how to help. Find out what you can recycle in different rooms around your home. See how acid rain has worn away monuments in Washington, D.C.
Find out about threats to sea creatures, and how to help. Games and information about sustainable fishing. Try a test-yourself quiz about climate change. Animated explanations of the effects of global warming and climate change on biodiversity. Online guide to endangered animals and why they are threatened. Play a game to recycle the rubbish. Test your knowledge about waste and how to reduce. Meet the Greens and find animated episodes and tips on how to reduce, reuse and recycle. Play a game to see how environmentally conscious you are. Tips for Earth-friendly shopping habits. Find out how to "green up your life" on the Friends of the Earth Youth Website.